Coupons valid until End of Season / October 15th. May redeem multiple coupons per person. Valid Monday to Sunday from 9 AM till 11 PM. Excludes Public Holidays. Burkinis are allowed. Bringing food, beverages & argilih from outside the resort is not allowed. Kids below 1 year old and nannies are admitted for free. Reservation is a must on Sundays, call on 05 600 512. Quote Gosawa coupon. Coupons must be printed. Non-Refundable / No carry over. VAT included in price. Standard terms & conditions apply. Escape summer's heat to a spot that you and your kids will definitely enjoy. Benefit from 50% off a Full-Day Access to Damour Village, only $6.66 instead of $13.33. 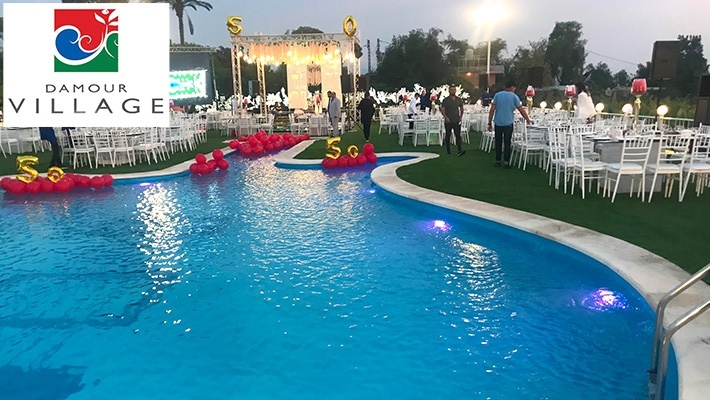 Your summer days will be well spent at Damour Village. 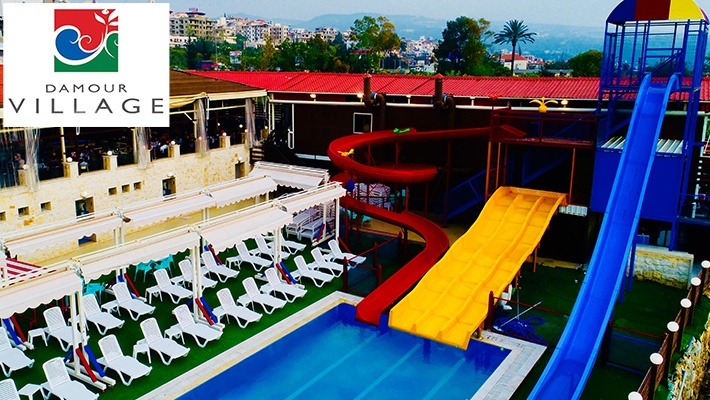 Damour Village is a place where kids and adults can enjoy summer the right way. 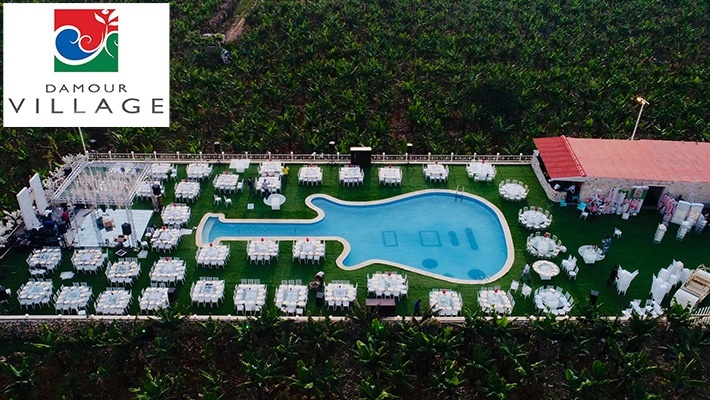 The resort consists of a large pool, water park and playground. 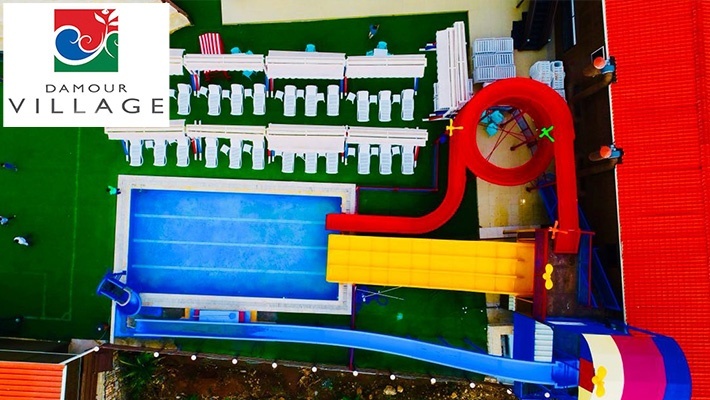 The water park includes infinite slides for kids to enjoy. 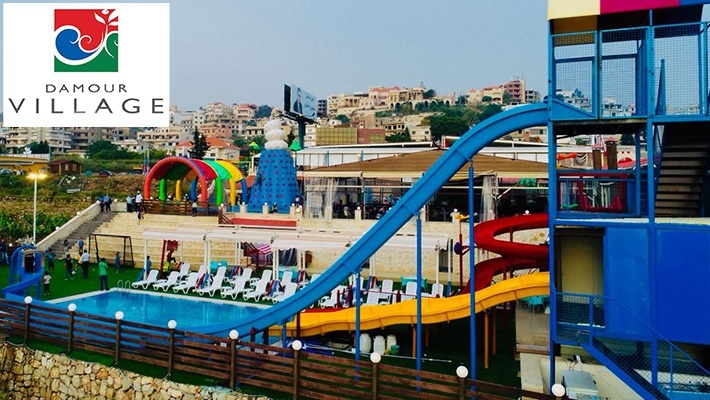 Damour Village is also a great place for parents where they can spend the day with their kids tanning, enjoying the pool and having delectable delights at the restaurant.